Whitehall Road - Leeds, LS12 | Property8 | Office Solutions Yorkshire! Fronted by an aesthetic canal, this tall business centre with large floor to ceiling windows has both wonderful views and brilliant natural lighting. 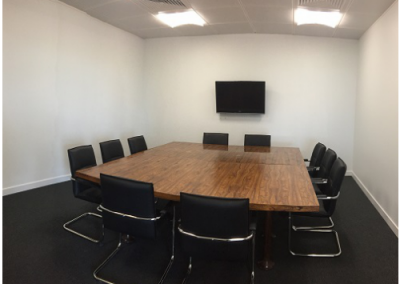 Whilst décor remains minimal to suit the needs and preferences of a range of businesses, these offices are clean and modern with high quality furniture and fittings. 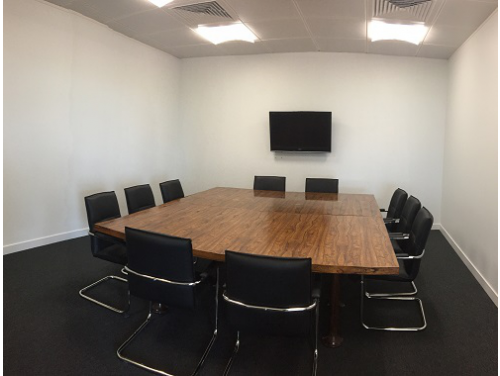 A smart meeting room equipped with a wall mounted TV and fitted out with a large, deep brown wooden table accompanied by sleek black leather chairs provides a smart and professional place in which to talk privately with clients. 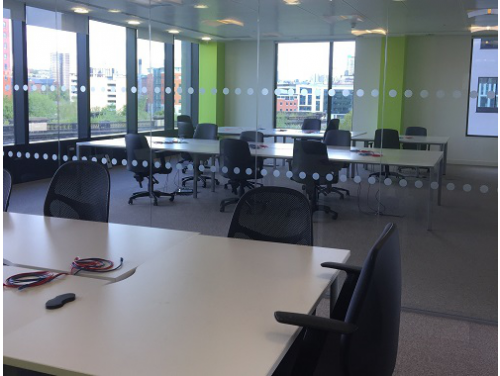 The offices themselves are equally well designed with glass screens separating varying rooms allowing for an open plan feel where natural light can flow but without too much noise being able to travel. 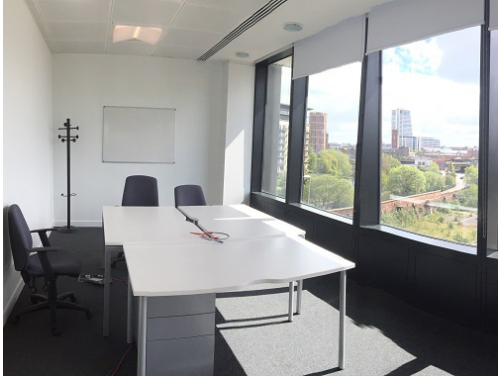 Contemporary desks and comfortable chairs are also provided throughout the offices for a relaxed working day. 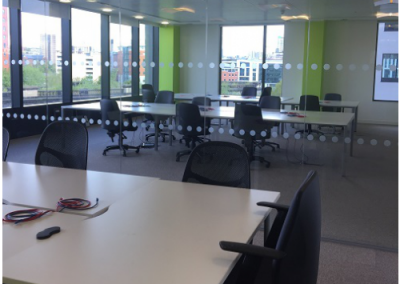 Lounge areas and break out space is also provided within this centre to ensure that clients are able to get away from their desks and recharge whenever necessary. Further facilities include; a manned reception, Wi-Fi connectivity, 24 hour building access and an onsite café. 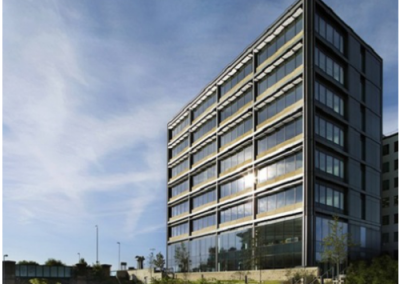 Being within the vibrant City Centre of Leeds, there are plentiful amenities surrounding this office and accessing transport links is convenient. Leeds Station is only a 10 minute walk away whilst Junction 2 of the M621 is only a five minute drive.